If you're a serious ballet student, you've probably been dreaming about joining a big classical company. But when it comes to career planning, thinking outside of the ballet box doesn't have to mean hanging up your pointe shoes. In fact, there are many contemporary ballet troupes where bunheads can perform innovative works that make full use of the technique they've worked so hard for. We rounded up the 10 you need to know about. With a professional training program, a summer program, an affiliated BFA program through nearby Dominican University of California, and a dance center that provides nearly 100 classes each week, Alonzo King LINES Ballet has evolved into a venerable dance institution since its founding in 1982. The internationally celebrated company performs works new and old by its founder and artistic director Alonzo King, touring 17 weeks per year on top of two performance seasons at home in San Francisco. Committed to commissioning new works, Aspen Santa Fe Ballet has a diverse repertoire that includes original pieces by Alejandro Cerrudo, Cherice Barton, and Nicolo Fonte. (Renowned ballets by Jirˇí Kylián and Jorma Elo are also on the roster.) Many of the company's dancers have degrees from top conservatories, including Joseph Watson, who graduated from Juilliard and danced with North Carolina Dance Theatre (now Charlotte Ballet) before joining Aspen Santa Fe Ballet. "For me, classical ballet is like taking vitamins or eating veggies. It's necessary, but I knew it wasn't going to feed my soul in the way other movement can," he says. "I love getting to take traditional ballet and put another spin on it with the help of choreographers. And I love that in this company, every season is completely different." Since artistic director Emily Molnar took the reins in 2009, Ballet BC has developed a robust and varied repertoire. The 2017–2018 season alone includes works by Nederlands Dans Theater alums Medhi Walerski and Johan Inger, and Israeli duo Sharon Eyal and Gai Behar of L-E-V. In addition to performing in Vancouver, Ballet BC tours widely each season, traveling throughout Canada, the United States, and Europe. Established in 2005 by former Pennsylvania Ballet dancers Christine Cox and Matthew Neenan, BalletX regularly commissions ballets from some of today's most in-demand choreographers—Trey McIntyre, Annabelle Lopez Ochoa, and Jorma Elo among them—in addition to performing Neenan's own work. It's this varied and challenging repertoire that attracted dancer Francesca Forcella, who came to BalletX after dancing with Houston Ballet II and The Washington Ballet Studio Company. "Because we're a company of 10, and do so many premieres, we all get a ton of opportunities to dance," she says. "It's rare that we have second casts. To be able to originate so many roles—and perform works that no one else has done before—is really amazing." Cake operates on a project-to-project basis. Sher-Machherndl, the artistic director, typically creates two new works per season, and his choreography frequently addresses social issues. One of the company's most recent works, White Fields, was designed to spark conversation about gun violence and its victims. 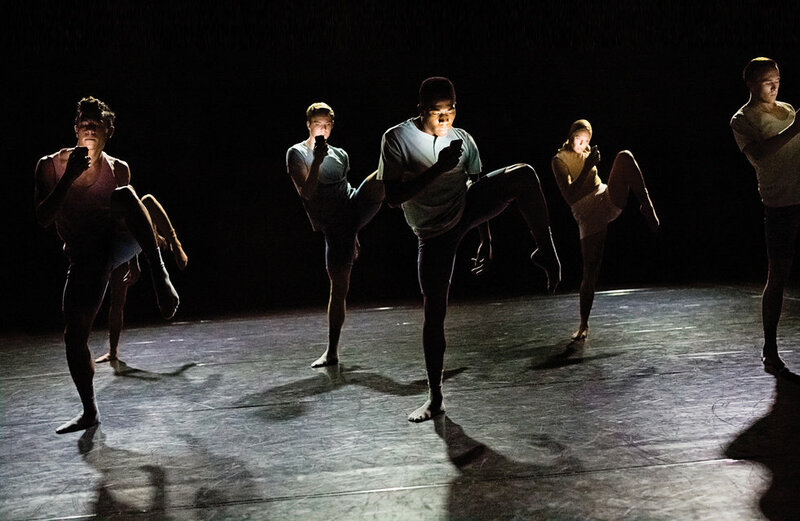 of experiences: Some have danced for companies like Boston Ballet and Les Grands Ballets Canadiens, others for more modern troupes like Hubbard Street Dance Chicago and Shen Wei Dance Arts. Cora Cliburn, who's worked with Dekkers and Post:Ballet for three years, is currently a full-time student at Stanford University. "Robert's movement style comes from a very classical background, but it's rapid-fire and off-kilter, an exhilarating extension of the form," Cliburn says. "I'm also really grateful that he affords us the freedom to pursue outside interests." Pointework: Required at auditions; about two-thirds of the company's repertoire is on pointe. Founded in 1994 by choreographer Michael Smuin, Smuin Ballet performs 38 weeks per year, dancing in various venues in the Bay Area as well as nationwide. Since Smuin's death in 2007, the company, now led by Celia Fushille, has expanded its rep to include works by Helen Pickett, Trey McIntyre, and Amy Seiwert, among others. "Michael had a reputation for being a director who cared deeply about his dancers, and that legacy continues today," says Erin Yarbrough-Powell, one of the company's senior dancers. "They've cared about my health when injuries have come up and given me the time to heal properly. Another plus for a small company is the amount we get to dance. There are lots of opportunities for growth as an artist." Former Pacific Northwest Ballet principal Olivier Wevers established Whim W'Him in 2009 as a platform for innovation and the exploration of new choreography. While Wevers choreographs frequently for the company, he's also commissioned works from artists including Dominic Walsh, Penny Saunders, Loni Landon, and Gabrielle Lamb. 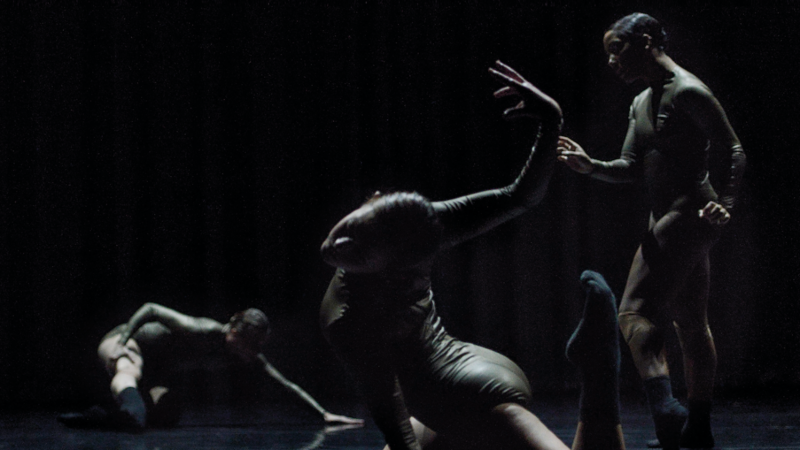 Wevers hires dancers with diverse backgrounds, creating a melting pot of a company. That's something second-year dancer Liane Aung is grateful for: "Our differences give company members such varied perspectives," she says. Led by artistic directors Garrett Ammon and Dawn Fay, Wonderbound developed in 2013 from what was previously known as Ballet Nouveau Colorado. Ballets by Ammon and company dancer Sarah Tallman are set to live rock and pop music by local artists, and often integrate multimedia technology. "Growing up, I'd always wanted to live in NYC, but I learned that New York isn't the only place for dance—there's a whole world out there," says dancer Nayomi Van Brunt, who's in her second season with the company. "Denver is such a cool city, and driving to work with the mountains in view…you never get over beauty like that." 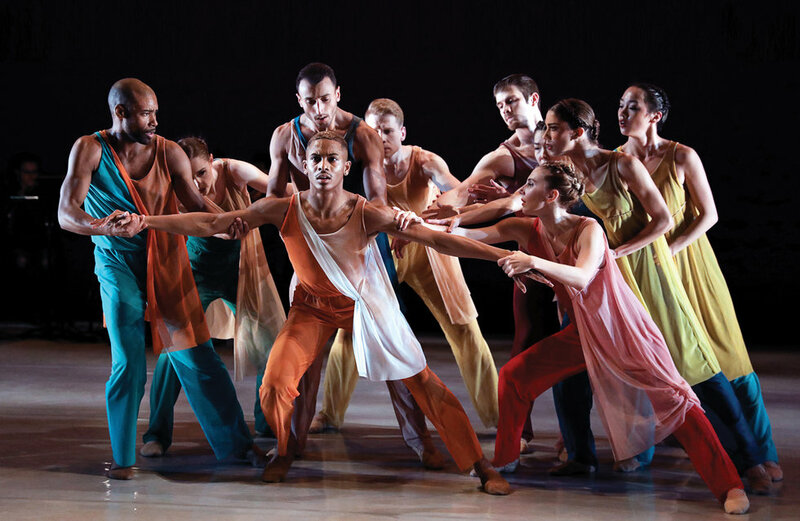 Founded by former Alvin Ailey American Dance Theater dancers Dwight Rhoden and Desmond Richardson, Complexions Contemporary Ballet is celebrating its 25th anniversary this year. The company tours internationally, showcasing physically and aesthetically arresting neoclassical works. "I love that our programs can be set to classical music, or to music by Metallica or David Bowie," says five-year company dancer Addison Ector. Ector also relishes Complexions' diversity. "I don't think it would have been an easy road for me as an African-American male trying to make it in a classical company. And in Complexions, different body types are celebrated, too." A version of this story appeared in the March 2018 issue of Dance Spirit with the title "Ballet with a Twist." This week, over 1,000 young hopefuls gathered in New York City for the Youth America Grand Prix finals, giving them the chance to compete for scholarships and contracts to some of the world's top ballet schools and companies. Roughly 85 dancers made it to the final round at Lincoln Center's David H. Koch Theater on Wednesday. Today, the 20th anniversary of YAGP came to a close at the competition's awards ceremony. Read on to find out who won! In her senior year at Butler University, Jennifer Sydor auditioned for more than a dozen regional ballet companies—and got a string of "no, thank you" responses. "I have an athletic build, and my movement quality isn't the typical ballet aesthetic," Sydor says. "But I'd been laser-focused on ballet. When I didn't get a ballet contract, I was heartbroken." Her one job offer came from Kim Robards Dance, a small modern company based in Aurora, CO. After attending KRD's summer intensive, Sydor ended up accepting a yearlong position with the troupe. "I was relieved and happy to begin my career," she says. She's been working as a contemporary dancer ever since. In the dance world, rejection is part of the package. That doesn't make it any more pleasant. But whether you didn't get the Nutcracker role of your dreams or you weren't picked for a job despite feeling like you aced the audition, you can emerge from even the most gut-wrenching "no" smarter and stronger. Guess who's baaaaack?! Your resident Dance Spirit astrologers! And on the eve of the Youth America Grand Prix awards ceremony, we thought it was the perfect time to pair each zodiac sign with a variation commonly seen during the competition. After many painstaking hours spent researching, consulting the stars, and staring wistfully into the sky, we compiled our data and present you with the definitive list of each star sign as a YAGP variation! As we said last time, don't @ us if you're not happy with your pairing—the stars don't lie, baby!